Tips for making a booking, and our response to your feedback. We would like to thank everyone who got involved in the recent Golden Ticket Hunt. We really appreciate the time everyone took to come to the website and give us feedback. Over 900 people participated and we received nearly 300 comments on our blog - and countless tweets - allowing us to test how the system reacted to real users, buying tickets in real time. Some Friends of Covent Garden experienced and reported errors so we have been working through the feedback over the last week to reproduce and fix as many of these as possible. We have been working closely with our developers POP and with Amazon who are providing our cloud (hosting) services. They have worked through the weekend to make sure as much as possible can be done to give as many people as possible a stable booking experience. I have mentioned before that our website is unique; the nature of our historic auditorium presents lots of challenges, which prevents us from simply taking an online booking solution off the shelf. So we have built a bespoke solution and although this comes with its own risks, it does mean we can constantly develop and improve the website for our customers. As with anything new, it takes a while to get used to a new booking system, so we would like to share a few tips to help you through the process. If you are coming to buy tickets, whether as a Friend of Covent Garden or a member of the public, it's always a good idea to sign in first. If the website knows who you are, it can show you the right information. Once signed in, you can manage your account by selecting your name at the top of the page. When booking tickets I would advise against using more than one internet browser to purchase or hold tickets, this does not give you an advantage and may even prevent your order going through. When you are selecting your seats you can choose as many tickets as your ticket limit allows. Select all the tickets you want before you use the 'Add to basket' button. Following your feedback we have added some text to the page to make this clearer. We have also adjusted the colours slightly on the price plan, based on the feedback we received. Once you have tickets in your shopping basket you can proceed to checkout or continue shopping. You can select any of the options at the top of the page without losing your tickets. We hold your tickets in the shopping basket for 30 minutes, and you can get back to your shopping basket by selecting 'shopping basket' at the top of any page. Once you are in the checkout you can see where you are in the booking process. On the delivery page you can choose to collect your tickets from the Box Office if you wish by selecting 'edit delivery address'. We hope that all goes smoothly on the Booking Days, and thank you for your support for the Royal Opera House. Please leave any comments about your experience of the booking process on this blog. You should be aware that the "select your own ticket" facility is extremely slow - even at a time of relatively low traffic (10 pm on a day when booking has not just opened). It often takes several minutes for the available seating to be displayed and at times it just hangs up completely. How will this work when Friends booking opens tomorrow? Thanks for your message. Glad the experience was a positive one for you and you like the changes we've worked hard to make. In terms of confirmation, some users may experience a delay before this is received. We are looking to address this so you receive confirmation sooner. All these instructions! Have given up trying to book for rehearsals and performances at Covent Garden. Will not renew membership next time - nothing in it for me .. I'm sorry that you are unhappy with the new system. Do let us know if there is anything we can do to help. We have removed the Book heading, but you can choose your tickets by simply navigating to the production you want to see and hitting the 'Book now' button. There's a full list of the ballets here: http://www.roh.org.uk/news/201213-season-announced-ballet-and-dance or you can use the calendar to look by date. Let us know if you have any further questions or comments. Booking for the two ballet mixed bills (5 tickets for one and 2 for the other) could not have been easier. Have suddenly realised that a recurrent feature in my life - watching the countdown in the waiting room - has vanished, perhaps for ever! Absolutely brilliant! twelve minutes past ten, and I have my tickets and my confirmation!! Congratulations, at last a system that means I don't need to wait for three and a half hours! Have purchased all my ballet tickets this morning by 10.08. What bliss! New system has worked very well this morning.Congratulations.Hope it last! I used to be so frustrated with the enormous queue when booking opened but this time I sailed through. I am not sure if it was luck or the new process and if the latter a very well done. I am not happy with IT and found that your advice and instructions prior to opening were very informative. As it happened I felt that I did not really need them but they were still a very useful revision exercise so thank you. Have just booked tickets for next season as a Friend and can report it was an excellent experience! No waiting room and able to buy tickets I wanted quickly and easily. Well done to ROH and hope you get more positive responses. There's always telephone booking for those frustrated by the online system. I have just managed to successfully book three tickets to the Ballet. I was worried at 10.00 a.m., because the system didn't appear to recognise me as a Friend. Trying again a few minutes later seemed to rectify this initial problem. Just completed booking to take grandchildren to Wind in the Willows and don't know what to do with myself for the rest of the morning! No waiting room and the whole procedure was very smooth. Will confirm judgment tomorrow morning but am delighted with the new system so far. Chapeau to the IT team! I'm sure it's me but I got on to the site quickly and tickets ordered but I missed a delivery options page so have not chosen options .Nor did I see an option to print my oder confirmation. i am worried things have not gone through! When I try to check my order history nothing is showing for the new season. on my account. The delivery options are available when you edit your home address, but we are exploring whether this is visible enough. There is now a message from Rob Greig at the top of this blog post explaining the reason for the delay. Unable to move the screen to view the seats I wish to book in the Lower slips of the amphitheatre, so unable to book at all. Extremely disappointed, as this has never happened before. No luck on phone either. Is this the end of my Friends' relationship with the ROH? Might be!! If you are having trouble with the seat map it may be to do with the browser you are using. Have you had a look at our Help page? It was fairly smooth for me - no queuing or error messages! The seat-by-seat photographs are also very useful. One suggestion though, a couple of times this morning, I suspect I tried to add the same tickets to basket at the same time as another user. Instead of giving me a message that the tickets were no longer available, as on the old website, the page simply blanked out. Could this notice be reinstalled - especially as if the site can handle more visitors at a time, then such situations are likely to become more common? I had it happen twice (out of six attempts) this morning. Thanks for your feedback. We will discuss the messaging around this. First time I tried to post a comment it didn't work.Didn't recognise my email address. I found the new system much better mainly because it cut out that long period spent in the waiting room.I had a bit of trouble with the calendar at first. It kept going to the wrong month . Could you tell me a little more about the problem you were having with the calendar? I can't get to any booking page. Then I click on Friends Booking and get: This page does not exist. Guess how annoyed I am? Once you are signed in you should be able to add tickets to your basket easily by navigating to the production you are interested in. Let us know if this does not resolve your problem. What stage in the process were you at when you saw this message? Had you entered your payment details? Thanks for the details. We are looking into it. If you sign in using this link: https://www.roh.org.uk/signin you will be able to add productions to your basket. The new website makes it much quicker to book, however, I had problem selecting several seats at a time, I had to hover over a seat, select it, then hover over again intead of being able to book several at a time. We have developed the new website to work on tablet as well as PC, and hover-over is difficult to use on tablet. For this reason, you need to use the area on the left of the screen to select your tickets. Not a good experience. Whole screen froze at 10.12 no payment collection, no advise as to what to do. Restarted booked same tickets again but not confirmed and site says box office will contact me. Not sure what to do now. We are looking into this issue. How can I check everying has gone through ok? I didn't see an option to print my order confirmation and nothing is showing on my upcoming events. I am a little worried everything has not gone through. sorry if this is a duplicate!. Once you have booked your tickets you will see an 'Order placed' page, this will be followed by a email confirmation of your order. There will be a delay before your confirmation email arrives, at busy times it could take up to an hour for order confirmations to arrive. To help make the system stable at busy times we are regulating the speed orders are processed to 1 order every 4 seconds, this means your seats are safely held in our ticket system until the email confirmation is sent. We would recommend that you only contact the box office if you have not received your email confirmation after 2 hours. I have signed in with two different browsers and see exactly the same with both (Safari and Firefox). I have tried calling too but line's engaged. If you see an error could you let me know what it is? Everything worked like a dream this morning - everything booked in about 10 minutes with no problems at all. Congratulations. 1) Very slow to respond on initial entry. 2) Select Own Seat option not available for 2 of my productions - is this now policy? Had to use Best Available and take pot luck. Can't think on any other organisation that does this when booking on the internet - may as well go back to the postal booking system. Totally worse than before, when one could always view the seat to be selected and make comparisons before buying. 3) Continue Shopping takes you back to the start and you have to go through the whole selection process again. Why can't we simply have an Advance Booking icon that brings up at a glance calendars for the new advance booking months, after all, that is what we are interested in on first day of Adv Booking. disappointed - hope thing improve. You should be able to select your own seats for each performance. Could you let us know which performances you had problems with? You can preview seats and compare without buying by browsing within the different parts of the auditorium, but you will need to do this before adding your tickets to the shopping basket. Maybe have a look at our guide to purchasing tickets on our Help page. That page says: NOT ON SALE. Could I check that you are definitely signed in? Can you see your name at the top of the page? If you see Sign In rather than your name then you will need to sign in first. If you are definitely signed in, could I check that you see your Friends registration in the Account area? Difficult to say what the issue is, but let's try every angle. Just used friends booking and it was fabulous!!! no waiting whatsoever quick easy and the photos from every seat so good!!! 100% improvement. Do we still receive e-mail confirmation for our tickets? I don't seem to have yet I do have a confirmation number. The performances I have booked do not appear in my upcoming events either so I am a bit concerned! "There will be a delay before your confirmation email arrives, at busy times it could take up to an hour for order confirmations to arrive. To help make the system stable at busy times we are regulating the speed orders are processed to 1 order every 4 seconds, this means your seats are safely held in our ticket system until the email confirmation is sent. We would recommend that you only contact the Box Office if you have not received your email confirmation after 2 hours." Read instructions last night. Signed in before 10 am - instructions were refresh site. This lost site completely. Once in didn't find it easy to get to performances that Friends could book. Is it not possible to click on more than one ticket for a performance at a time rather than returning to plan. Takes an age. Seating plan froze - managed to reserve 3 performances - only 3 minutes left on time allowed. Tried to purchase tickets before time ran out - going to shopping basket froze - then timed out. Repeated all - finally completed just 4 performances took 1 hr 20 minutes. Its a complete nightmare as to whether you will be lucky that system holds up for you. Let us know if you have any further questions. Someone has been hard at work since the Golden Ticket Hunt. Well done! The photographic seating plans, particularly of the Linbury, and easier-to-read production info will be very useful to new users. I booked my tickets smoothly and with no problems at all, having followed all your advice on the website and the Friends email. So wonderful to be finished by 10.30 and not hovering while the waiting room counts down... congratulations to the website team. Did you actually put the Insight Evenings and Royal Ballet in Rehearsal tickets up for sale this morning? They were all SOLD OUT by 10.01 which I find hard to believe unless I missed what time booking for these opened. I had no problems with booking for performances which was excellent. Insight Evenings and Royal Ballet in Rehearsal are extremely popular with the Premium and Supporting Friends, who have already had an opportunity to buy. It would not let me use my AMEX. I wanted to swap out one seat for the other side of my chosen seats and would not let me do so because I had reached my max. It should let me do so without risking losing the seat altogether--just don't let me check out/purchase with 7 seats until I cull it to the max of 6. Where can I find a seating plan?? You should be able to use your AMEX on the site. What happened when you tried to do so. We are likely to add the full seating plan at a later stage, but for the moment you can see the price bands in the map of the auditorium when you are in the booking process. There is no benefit to holding seats in a row as you describe as the tickets are not secured until you add them to your Shopping Basket. My booking went more smoothly than I expected! My only comments would concern the legibilty of some of the text on the basket, order and confirrmation screens which is displayed in a light grey color instead of black. . Also I find that actually getting the cursor to select a seat is a bit tricky unless you zoom in. I am really glad to see that you no longer have to waste time choosing whether you want your seat with or without champagne.. I hope this will remain the case! Was then told that there was a problem with processing my booking and that the box office would phone me. They haven't. have checked on site and find that the tickets I booked seem to be on sale again. What do I do? Don't want to book again in case I pay twice. We're checking this with the Box Office now. I've carried out two on line bookings this morning - fantastic not to be placed in a waiting room ! But ..... when I needed to check with the box office because I may have booked too many Swan Lakes the very kind helpful lady, Penny, said my order numbers were not recognised !!!!! Can you imagine how I feel ? Surely a record of transactions is available somewhere ??? What is going on ??? What is happening is that the Waiting Room is at the end of the process rather than at the beginning. When you place your order your tickets are put aside and the transaction is is a queue. You have of course placed your order and nobody else can purchase those tickets, but the tickets are not confirmed as yours until the transaction is completed. Once the sale has gone through you will receive your confirmation by email. By the way, after booking one performance of a production, in order to go to another date one seems to have to start all over again ? Is this progress ? You can indeed add tickets from other productions to your basket once you have added your first selection. If you 'Continue Shopping' you can navigate to other productions and add further tickets. Just booked some ballet tickets this morning. Much better system thatn the 'Waiting room' as able to get through straight away and all booked within 15 minutes! (as opposed to the 1.5 hour wait last time). However, some parts of the system are still slow e.g. seat availability diagrams are v. slow to load, and there doesn't seem to be an option to 'collect at box office' any more. Does this mean that all booked tickets will be sent by post or can I still pick them up when I'm next at the Opera House? What browser were you using to look at the seat map? Were you using PC or tablet? We are reviewing where we flag the Collect at Box Office option as some customers do seem to be having trouble locating it. Where are the priority booking dates? These used to be available on the website. The priority booking dates are listed on each production page under the 'When to see it' section. I hope this helps. Colour coding pricing could be more obvious - why not "hover" and show the price of the seat? - One of the benefits of the new system is that it is under our control and so we can evolve it taking into account feedback such as yours. - Firefox 12 or later is supported. - We are experiencing a small glitch with confirmation emails meaning that they may take up to two hours to go through. We are working hard to remedy this but in the unlikely event of not receiving them after this time has elapsed, please contact the box office. 1. The shopping basket at the top right does not recognize tickets in there it does not update itself - very disconcerting (frightening frankly) half way through shopping to look at it and it showed 'empty' when in fact there were tickets there. I had selected tickets and gone to the shopping basket and seen them then continued shopping for another production. The original tickets were there but I thought my basket was empty. I noticed this problem a few weeks ago when the site was newer and I assumed it would have been picked up during the Golden Ticket exercise. Not sure it has been. (at least we get an option to continue shopping which was previously missing!). 2. A request (probably for someone else) to have all booking dates on the web site as there used to be (not just Period 1). I had to phone the box office to find out when the Sept etc dates are - they have been driven mad by so many of us phoning. There used to be a full season booking date diary under 'When to Book' . . .
3. One confirmation mail came very quickly. A second is still awaited several hours after a second booking - am being patient but odd that there is inconsistency ? I didn't ever have any problem with the old system (but I did log in hours prior to booking opening to avoid the dreaded waiting room . . .) Thank you for improvements. 1. We're looking into this. Could you let us know what browser you're using? 2. Booking dates are available on production pages under the 'When can I see it' section. 3. We're experiencing a glitch with our email system that some confirmation emails may take up to 2 hours to arrive. We are working hard to remedy this. Struggling with Chrome 19 - the "buy now" button is not showing for the performances I should be able to book for as a friend, and yes I am signed in .... Changed over to IE9 all is well. Please let me know before the opera booking opens whether Chrome19 is supported as I have no other on my home laptop at present. This might be an issue regarding your membership - it might have expired or you might be experiencing a glitch. Could you email with your membership details? They'll be able to check. Chrome 19 is indeed supported. Received email confirmation. Thank you. BUT the confirmation skipped the "delivery" phase, therefore unable to request collect at box office. I did try to order further tickets, just to confirm that I hadn't missed it, but it definately skipped the option. Thanks for the message. Our team will be in touch by email. Brilliant experience with new website and rapidly booked for one performance; have now returned to try for another production only to find I have lost the facility for Friends to buy tickets. Thanks for your comment. This bug should have been addressed now. Further to my last e-mail...I have found the option, by "edit" delivery address. Please may I ask if there were in fact any tickets left this morning for Friends for Insights or Royal Ballet in Rehearsal? Generally I found the new system a vast improvement thanks. We're afraid these are sold out. Glad you found the experience a positive one. it seems illogical that on the calender, performances that are not yet on sale have a "buy" button that takes you to a page that says there is a problem with your booking and give the booking date. However if you click above the button,on the name of the production the list of performances says, more sensibly, "not on sale" Irritatingly inconsistent.! Thanks for your feedback. We'll take it on board when evolving the site. Easy peesy!! Got exactly what I wanted straight away - no waiting at all! Just one comment - I nearly always choose the amphi and the colour of the on the website of the 2 blue ticket bands for Swan Lake is too similar - small thing but you might consider a bigger colour contrast please. Thanks for you comment. To ensure that you get the best possible experience, we recommend installing the most up to date browser. A list of supported browsers and further assistance can be found in our help section. I've just booked all the tickets I wanted even though I was a bit late (2:00 pm). I didn't get my first choice but that was my own fault for being late, yet I manage to get very good sits in deed. The screen for "select your own sit" never loaded, I had to press F5 every time to make it come up. I had to start all over 3 times and do 3 different payments because the time allowed was not enough to choose and select all the sits I wanted for different functions. One has to know exactly what one wants and have a "trial" a day or so before hand, so to know exactly how to go about the website on the Friends Booking Day. I participated in the Golden Ticket Hunt and I could see you made improvements as a result; booking the real tickets today was easier than it was to book the "ghost" tickets that day. All in all I'm happy wit the way it went and I'm looking forward to the next Friends Booking Day. Thanks for your comments. In terms of the loading issue, to minimise this there are a few guides and recommendations to give you the best experience. They can be found in our help section. If you contact the Box Office they will be able to refund the tickets you don't require. Sorry for an inconvenience. Tried booking for Ballet this morning and all went well until I got to'Proceed to check out', then the screen went black with a revolving circle in centre which stayed on until I tired of it and went to refresh. I lost the seats I had selected, phoned up, waited twentyfive mins, and was offered alternative but inferior seats. Very frustrating experience as usual with ROH. Sorry to hear about your experience. To ensure you have the best possible booking experience and avoid issues such as this one, we'd recommend ensuring that your browser is up to date. Details of which versions are supported are available on our section. Apologies for the delay over the phone, as with all booking days we experience high demand for tickets - over the phone as well as online. Please be assured we do work hard to process calls as quickly as possible. Everything went very smoothly this morning but I had done a trial run last week. Only real problem I find is the seating plan where the grey dots are tiny and the bues and greens all look the same. I have tried Internet Explorer, Safari and Firefox. Also an explanation of why no availability in the Amphi on Nov 8th would have been helpful. I was able to book the tickets in 10 minutes this evening - a vast improvement to the previous system. This website is easy to navigate, much clearer to see performances, seating and I like colour to indicate the pricing of tickets. I had a very good experience booking on the new site. I just have one tiny comment - on the order confirmation screen you have the ticket details in pale grey which doesn't show up very well when you print it. Apart from that it was great - I was out by 10:15. I appear to have stumbled on a page called Booking Day 13th June, 2012 with a list of everything that is available to buy today which is very useful. BUT I don't know how I got there!! It says the previous page was Home, but cannot see Booking Days on the Home Page. Please can you tell me how I can find it in future? Many thanks. Booking days are detailed on the individual production page, and will be mentioned in any season preview posts on our News and features section. I used to be so frustrated with the enormous queue when booking opened but this time I went straight in no problems and got everything I wanted. It was a totally different experience I was really happy, well done! I have just booked tickets when the Friends opera tickets went on sale - two or three times I lost tickets because after I clicked add to basket the screen just froze and I had to start again - very frustrating! When the system did work properly it was bliss in comparison with the old one. Thanks for your comment but sorry to hear about the issues. It sounds like this may be caused by using an incompatible browser. To combat this, we'd recommend ensuring that you're running the most up to date version of the browser. Congratulations. It worked like a dream - 3 operas and a pre-show talk all paid for by 10.15, so different from last booking season which took 3 hours; then the payment disappeared into the system and I lost my place in the queue. It was worth all your hard work and testing to get this new booking system up and running. Pats on back and glasses of champagne all round for your team! Just booked my opera tickets. Absolutely no problems and much quicker than before. Please sell your system to the Proms! One suggestion - when I clicked "Continue Shopping" it would have been helpful if the screen defaulted back to the list of Upcoming Productions (or better still the Friends Booking Day list), rather than to the Whats on page. Congratulations, the new booking process was very easy to use and marvellously quick now. I was able to book as soon as I'd signed in - no lengthy wait - and got good seats for everything I want to see. My only criticism is that the colours used to distinguish the different price brackets are not always very clear, especially in the blues and greens and when you hover the cursor over the seat, it doesn't show the price which it used to do, so it isn't until you actually click on the seat that you know the price. It didn't bother me this time, but might in future. not so good today! Had ticket, pressed use previous card and got an error message saying Box Office would contact me - don't know if I have still have the ticket or whether I need to book again! This issue may have been caused by having more than one browser window. It's likely that the payment did go through but if you don't receive a confirmation email in the next couple of hours, do please get in contact. Alternatively, please call our Box Office on +44(0)20 7304 4000 or email onlinebooking@roh.org.uk. Have almost fallen off my chair in amazement. Immediate sign-in at 10.05 and all done in about 10 minutes. I had been considering cancelling my Friends membership because of the frustration with the old regime but will now stay with it. All done and dusted by 10.15 am, can't believe it. Hope my experience is the norm - and, on that assumption, well done ROH! Opera booking system worked well for me, confirmation took 12 minutes. Only caveat is choice of seats but I think this is because many are held back for such purposes as day seats. I do struggle with differentiating the price colours. It would be lovely if the box showing the seat number when one hovers over it also showed the price. On the Select Area menu could you add "from £y" under "x tickets available"? A really trivial point, why does stalls circle B10 look like it has a bigger dot? Thanks for your comments and feedback. We do appreciate the comments received and they do help inform the future development of the site and booking system. •Sorry tickets are currently unavailable, tickets may become available later." We're afraid (with the exception of a few tickets for 6 Oct) Albert Herring is sold out. It might be worth checking for returns closer to the time. Just to note that the 'select your own ticket' facility did not work at all for opera bookings at 10.05am today (13th). I secured good seats on the 'best available' option, but I thought you'd want to know that the more convenient option seemed frozen. Sorry to hear about that. This might have been caused by using a browser that is not compatible. To ensure that the system works without issue, we'd recommend updating your browser to the latest version. Details of supported browsers can be found on our . Why can't I go straight to a page which has - and only has - the productions available in this booking period? I don't want to see anything else. I ended up using the link in the Friends' e-mail but this did mean I had lots of pages open by the ending of my booking. I also got a page I didn't understand when, presumably, there were too many people trying to book for that production's date which made me think I either was booking on the wrong date or it wasn't 10.00am - it didn't tell me clearly that the limit for people booking on that date has been reached. I only worked out what was happening when I tried to book for the same production but on a different date. Booking in the Linbury was a problem: when I tried to select my seat, none were displayed even though the previous page had said that seats were available, but when I choose 'best available' there were seats I could book but obviously I could not choose which one: why was this? Having said this, it was great not to have a waiting room and this booking has been the fastest I have ever made. If only I could get to the operas I want quickly and simply. Thanks for your feedback. We do take this on board and it will inform future development of both the booking system and wider site. The issue in the Linbury may have been that the production was sold out but there was a delay between this happening, and the change registering on the home page for that production (ie. x tickets left). Ellen re my problem with calendar yesterday-got it sussed today and booked 3 events in 8 minutes. I also noted that the order confirmation page did not have a print icon but I printed it anyway.The new system seems a vast improvement to me.There's bound to be teething problems at first for some people. Thats life. I booked for 7 events and it took only 15 minutes. Previously I would have expected it to take an hour or two, so congratulations on the new website. I don't think navigation is significantly better than before, but I got round this by clicking on links in the Friends you sent out yesterday. Overall a great success. Just booked opera - excellent response BUT when I tried to book Paul Hamlyn bar tickets, which were shown as "available" I got an error message of "This promotion is not available". I presume this is because the seat booking is in the queue, and the restaurant booking system can't place the order without it. I had to e-mail Restaurant reservations direct. Thanks for your comment. Please see the comment on second post. I tried to book for Robert Le Diable this morning using Internet Explorer 8, my default browser which kept crashing when I tried to access the seating area. Switched to Google Chrome, which I'd never used before and went through OK( but limited choice of seats in Amphitheatre by this time!). However much quicker than waiting for hours under the old system! Just a couple of comments. The dots that show the unavailable tickets are very tiny, you can see tickets are available but you have to run the cursor over the coloured dots a few times to try to see which row you are looking at (basically how far back in the amphitheatre you will be sitting). Also I don't remember giving anybody permission to keep my card details in the system. And what happened to Verified By Visa? Thank you for your comments. The save card details function requires you to opt in to save them. If you've done this and would rather remove them, this isn't a problem, simply remove the card from your account. Verified by Visa is still used and we'll pass on your comments about the dots. Feedback such as this will actively shape how we develop the site in future. Thanks Chris. The strange thing is, it worked perfectly for ballet at 9.55am! I had to log out and back in again after 10am for the opera, then it stopped working. So, my browser (IE7) can cope but maybe it was too busy. Interested to hear others experiences. even though the site says there are 81 available. Tried ringing box office but of course number is engaged. Albert Herring has sold out. There may be a small delay between the number of tickets shown as remaining and the system which holds them. We've logged this issue. As recommended in the previous reply, it might be worth checking for returns. Our phones are currently busy but staff are working hard to get through phone bookings. How nice not to have to endure the waiting room. I do wish I had practised booking before today, though. I had some bad moments looking for a 'Book tickets' page but that will be easier next time. My only complaint is that having selected the last pair of central front amphitheatre seats for Robert le Diable on Dec 18th, clicking on 'add to basket' left me hanging on a waiting screen for a long time with no indication as to whether I was going to be able to secure the seats: I eventually gave up and started the seat selection process anew. Maybe someone had simultaneously tried to reserve the same seats. It is bad when in a 'competitive' booking situation time is wasted like this - how long might I have been watching the waiting screen had I persisted? If this was for an extended period of time, it might have been a browser issue. What browser were you using? We'd recommend ensuring your browser is the most up to date version prior to booking - this will help avoid these issues. Have had a problem similar to another user who has already entered it - "not so good today! Had ticket(s), pressed use previous card and got an error message saying Box Office would contact me – don’t know if I have still have the ticket(s) or whether I need to book again!" All attempts to call box office return with busy signal. Have left messages with friends vm, friends email and online boxoffice email. Thanks for your comment. In all likelihood, this will have gone through. Please wait to see if you get a confirmation email. There may be a delay of up to a couple of hours for this. If you do receive this, do please let us know via email. In the interim, our team are working hard to get through emails and calls and will be in touch as soon as they can. I booked for Robert le Diable today easily enough, but the problem of calling up what you want is still there - or I am just stupid. I wasn't clear, having lost the paperwork,what operas were available and while you do print the titles in red it would be good if you made clear that the winter ones are not on offer somewhere. Autumn Season Only or something like that. There was no queue, which was nice,as in the past I have sat for hours - and even if I have to wait for cofirmation from you by e mail it would be nice of potentially reserved appeared in my record of bookings - or can I print out the page with the reference number on it. Also why can't I get two seats to book at the same time? I had to book one, put it in the outbox, and then book the one next to it, which might - you never know - have gone while I was fiddling with seat number one. But it usually isn't the technology that is the problem, it is the words on the page. Thanks for your feedback. In terms of listings, booking dates are available on each production page but we will take your comments on board in terms of booking period listings. Congratulations on the most stress-free booking day ever! I completed my purchases ( Robert and Albert) within 10 minutes and received the confirmation email 20 minutes later. Thank you. Found booking for Opera today very easy (after yesterday's frustrating experience), and congratulate you on getting it right at last! Trouble was that, although I checked in at 10:00 a.m., few seats were available, and had to make do with second and third options. Popularity has a price! Following on from my previous post - I now have confirmation, and the booking is listed under forthcoming events - but I'm still getting "this promotion is not available on trying to book a table in the Paul Hamlyn bar, even although it is shown as "available". Thanks for your message. Could you email details including dates to onlinebooking@roh.org.uk? We'll look into it and see what the issue is. Good news: It worked :-) 10 tickets booked, however still waiting for confirmation, we will see how long it takes, have in any case made copy of all details. How it worked : It took me about 27 min from 10am onwards to complete the purchase of 10 tickets. A bit too close to deadline for my comfort as this is the minimum of tickets I usually buy in one booking period, it’s normally actually more like 15 or more. On the old system for me it never took more than 10-15 min to do so, in this case I would not have made it through 15 tickets in time. It’s a bit disappointing as I couldn’t have been better prepared. I’ve bought tickets on the new site before, I knew exactly what dates and performances I wanted and minimised the clicks from one performance to the next by using the list of performances ( I actually went to the trouble to have all links in a list and basically went from basket directly to next selection in max 2 clicks, which unless you keep the page with all performances open all the time is not possible on the new site; if you have to navigate to another performance separately it takes many more clicks). I didn’t even scroll through several areas in the hall, but went directly to one, selected seat and threw it into the basket. In order to speed up the process I didn’t even wait for view from seat to load but clicked on seat, select and move to basket without even pausing ( to give you an idea of the fact that I tried to move through the system as fast as I could from my side). Basically, if I hadn’t prepared my list of dates and performances and made up my mind beforehand of exactly what seats I wanted and just went clicking through I would not have made it in 30 min. For me it takes longer than before for individual pages with performances to load, and it takes a long time for seats to land in the basket. In the case of 1 Boheme performance I experienced the errors from the trial run again: ie error message in selecting seat (unknown error, please try again) although the seat was still there, as on second trial it did let me select it and also when moving it to basket again I had” Submission error” and the page froze on me for quite some time, I went to another performance and then came back and tried again. All other 9 selections went ok. I also noticed that although I had google frames installed I still had to move around the map in the amphitheatre because the whole map didn’t show at once. I agree with above comments about choice between hold at box office and dispatch address, this should really be an option clearly distinguishable on the checkout site. I had to edit address and again wait for the page to load etc, with the risk of running out of time. I understand that visibility of price by colour as well as view from seat is very important to many people, especially if they don’t visit the ROH very often, but if you are dealing with a slow PC and not the very latest browsers this slows down the loading of pages considerably. Black and white worked faster for me, almost twice as fast :-) I also support the idea of showing price when you hover over a seat. I generally think you should consider users who book from work or computers on which they don’t control the set up and software and thus have to deal with less than ideal set ups for the purchase. It’s not exactly fair for them to be at a disadvantage because the site is built only with the latest technology in mind. I would like to be able to do all my bookings in one go as before and not have to consider potentially having to go back to phone booking because my technology is too slow. I understand why we need to give all useful information to people who don’t know the House that well or have particular requirements, but I would like it to be fast enough for multiple bookings ( ie I personally don’t need the colours or the view from seat, I just want to book fast in as few clicks as possible and with as few pages being loaded as possible, especially in the checkout process and in moving through performances). Thanks very much for your comments. Please be assured that we do appreciate this feedback and it does help inform future development of the site and its booking system. In terms of browsers and therefore speed and experience, we'd recommend (if possible) updating by downloading the IE8 plugin (Details at http://www.roh.org.uk/help) - though as you mention, for those on work computers this isn't always possible. I was looking to book stalls circle seats for opera productions this morning,. As advised, I had familiarised myself with the new website, and indeed purchased tickets via it before. It logged me in perfectly just after 10.00 am; I found 2 remaining seats for 'Robert le diable' at the max price I wanted (£78); and I selected these and they went into my shopping basket. Then, when I pressed "Proceed to payment", the screen blanked out, the hour glass whirred for several minutes, and when I backtracked there was no sign of the tickets in my shopping basket, and the 2 seats were no longer available. I ended up having to buy tickets at twice the price… my partner will kill me! The weird thing is that I when I went to purchase these, the 'time remaining' reading stated I only had 11 mins left to do so, which suggests that somewhere along the line the ghost of my original booking attempt was haunting the system. One other quibble: please do reinstate the specific list of opera productions (separately from ballets) that are available to book at the opening of each Friends' priority booking period. All the back-and-forth to particular dates in the calendar when booking for different productions is time-consuming and is liable to cause browser fatigue during the periods when your servers under maximum stress. Other than this, the site experience is an improvement. Thanks for your feedback - it helps us greatly in evolving the site and the booking system. The issue you describe may have been caused by using an incompatible browser. We recommend ensuring that you're using the most up to date browser. Details of these can be found at http://www.roh.org.uk/help. Congratulations to the ROH. Easy way of booking , no queues. Quite impressive . Thanks for your comment. Your confirmation email should be received shortly. We are looking into addressing this delay. Hi there, Well it all seemed to work fairly well - at least for myself. It took nearly 90min before my email confirmation came through and without the confirmation page online being very clear and clearly displaying a confirmation number, it was a bit stressful. Perhaps an area for improvement, please - should not be too big or difficult a job to do really. Ohterwise, I must confess that there is still a massive need for improvement of functionality - it takes much too long to find individual events and clicking through to book. Why am I getting all productions ballet too, on a day where the opera has priority?? Since you have the possibility to post imformation on our Friends page/account, why not display the links from the useful email, in there? Or the "What's On" with links for the items on sale on the 1st booking date - I do not need the hassle of finding my way through current productions, thank you very much. Then link from the email with "opera" is VERY useful but needed it on the "What's On" page for today, at least. And the font colour could also be changed to red and black, alternated between productions - red is not an easy colour to read and with the amount of information, an alternate colour would make it much, much easier. Lastly - I still have a problem with the colouring of the prices categories on the seating plan. Please, please change it as it is very hard to see if you book a set for £36 or £44 without selecting the actual seat and them picking another if not the right one. It is frustrating, takes too long and hold tickets out of the system, that others might want. Know it is a new system, but I had really hope for bigger improvements in functionality and so far somewhat disappointed. Know you will work on it, going foward and I do appreciate the massive investment it is - both in money and time and it IS appreciated as many improvements already. BUT functionality is still lacking and I hope you will work to improve. So far - well done and keep up the excellent work. Thanks for your feedback. It does help us inform future development of the site and as you mention, we will be improving elements going forward. These issues have been logged. 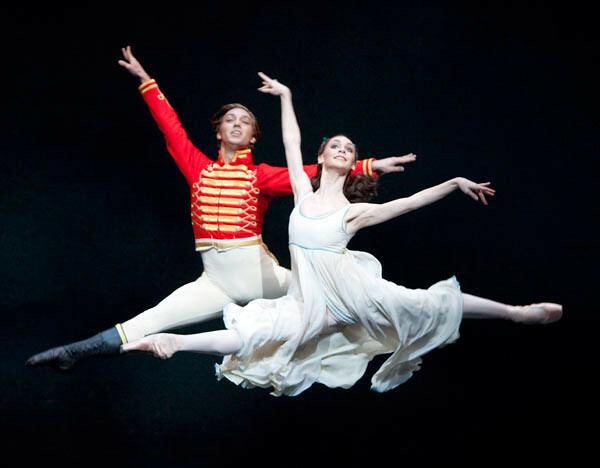 In terms of seeing ballet productions too, both are shown since - with ballet booking opening yesterday - you're eligible to book for both should you wish to. Well done guys - worked like a dream! Thanks for your comment. At present, it's possible to see a plan of the auditorium by going through the booking process and looking at the select your own seat section. We do appreciate feedback such as this and so will look at adding a seating map in future development of the site. I went throught the booking process for a ticket for Robert le Diable before 1100 this morning. The seat selection process was very speedy. The payment process (credit card) appeared to work normally but I have received no confirmation and I am left - 2 hours later - with an active ROH screen showing the message 'Wait. Please wait while we process your order.' . Has my order been processed or not? Should i rebook? If the payment went through there may be a delay of a few hours before the confirmation message is sent. This is something we're looking to address. Apologies for the delayed response. Have you received confirmation yet? Bit of a frustrating time at first. I couldn't put ANYTHING into the shopping basket, even the most unlikely seats that no-one would be dreaming of buying. Kept getting a message "submission error" Eventually I concluded that this might be a browser problem (Safari 5.0.6 on rather ancient MAC) rather than a system error, though I have bought seats on the new website previously with this combination without problem. So I switched to Firefox and this time it worked OK and I got my second choice of seats for Robert (which fortunately had reappeared on the system by then) without any problem (though still waiting for email confirmation). I do think you need to address the issue of not everyone using up to date technology, as others have said. Reading the earlier comments and your responses, browser issues seem to be the problem in a lot of cases. But it's quite hard to know when that is the case or when it's a system error at ROH end. I initially thought the site had just crashed. Thanks for your feedback. As you've seen, we do recommend installing the most up to date browser versions prior to booking for the best purchasing experience. A system as complex as ours that has to deal with such a volume of traffic does require the latest versions to operate effectively. I'm quite worried because it has been more than two hours since I placed my order and still no emal, but I do not want to call before the three hours have elapsed as advised. What's worse, my card does not appear to have been charged. The site had even given me a booking order number - which I didn't bother to write down thinking that I'd get an email shortly. I hope that it will all work out and that my order went through. It's likely that it's a delay on the part of the confirmation email. Our Box Office are emailing you now. -	it would be useful as well if on the booking help page or under ‘your visit/tickets’ or simply ‘your visit’ you could add an area for seating plans in pdf or whatever format works for main hall, Lindbury and Clore, it’s where I would go looking for them. Thanks very much for the suggestions. We'll look at making messaging clearer as per your comments. Hope you enjoy the performance(s) you booked for! I still can't get into the booking page for Robert on Thursday 6 December: what I get is: There was a problem with your request•Friends Booking: 13.06 10AM / General Booking: 10.07 10AM. Why is this? What does this mean? Apologies for the delayed reply. We've checked with Box Office and your Friend status seems to be active. It also seems that you've made some bookings. Could you let us know if this is still showing for you? Further to your reply (11.01) to my comment (10.54) - You suggest that my problem, as well as that of several other folk here, may be due to using a sub-optimal browser. I am using IE9 as advised so maybe it something else. Confirmation email arrived at 12.32 (approx. 2 hours after booking). Thanks for letting us know about the browser. We're looking into the cause of this. I think the new booking system is great - I was in and out with all my tickets in 8 minutes - no waiting room saves a massive amount of time. The information sent out in advance was essential (I upgrade to IE8 & added the 'plug-in') to make seat selector work. The only improvement would be to make the booking period list more easily accessible - I had to find in one of the emails rather than the account login page where it used to be. Thank you and well done. Hello, I bided my booking until this afternoon to avoid the usual first rush, then clicked on Friends' booking opera from the email, signed in and - no queue, list in red, went straight to date for Robert le diable. I kept things simple for first time run and kept the order simple to one opera and date. It took a moment or two to twig how to change the date to another date. That facility seems to have gone a page back from the selection page. I worked it out eventually. Please could there be a better link at the top to get there? Second problem - I've a large screen, and use the zoom, but found little distinction between your dark blues, either in dots on seats or in left hand column. Please could the colours be more discrete, and sharper to reduce the halo effect around the circle? It took a while to twig how to move the cursor to get settled on a seat. Otherwise I found the new system much quicker and, for someone lowtech-experienced, simple to follow on screen without reading lots of long-sentenced instructions. Thank you also for putting a column on the left; as a lefthanded person that felt entirely normal for my hand and mouse. hurrah! Thanks very much for your feedback. It does help inform future development of the site so is much appreciated. Hope you enjoy Robert le diable. No trouble with the new site but both productions I wanted to book (Albert Herring and Mozart and Salieri) are sold out already. Such a shame that the affordability of the Linbury is really an illusion because you can't actually get tickets in there unless you have a really expensive Friends' membership (which I'd get it I could afford it!). Is there any way that the site could give an option to be on a waiting list for returns? And is there a reason that The Lighthouse is 'not yet on sale'? Thanks for your comments. The Lighthouse should be on sale. Could you take another look and refresh? Unfortunately we don't have a returns waiting list but we'd recommend calling closer to the first night. Apologies. The confirmation email then says "If you are collecting tickets from the Box Office ..." I usually have them posted, but I don't recall seeing an option to collect tickets or have them posted (the old system had a box to tick). Was there one? Thanks for your comment. There is an option to select this on the payment page but we're looking to make this clearer as we evolve the site. Your new website is terrific. It is so much easier and quicker to book tickets than it was before. Thank you. Oh joy! A vast improvement; thank you! I found booking tickets on-line before a life shortening experience and spent what seemed like hours in the wretched "waiting room" only to have the screen freeze and to have to start all over again. This time there was no waiting period at all. I think it helped that I had previously worked out all the dates and simply clicked on the calendar, which saved a lot of time. One request please; it would be enormously helpful if we could look at a seating plan on the site at any time and not just if it happens to be available when one is in the process of booking a spefic prodution. I would like to able to see the view from any seat in the house at my leisure and not when I am in a panic trying to book. After the initial panic that I didn't know where to start without the 'book now' button, I refered back to your instructive email sent the day before and it went like a breeze. I expected to be 896th in the waiting room having wasted a couple of precious minutes getting started, but instead I had all the tickets I wanted befoire 10.10. Absolutely brilliant but I couldn't have donme it without that so important email the day before! Just an addendum to my previous post. I gave up waiting after 30 minutes and checked my account for 'upcoming events'. My two attempted bookings were not listed, unsurprisingly. We are working to address bugs experienced by a minority of users such as the one you describe. Thank you for the information, it's very helpful when tackling issues. Yesterday was a welcome relief after the horror of the last booking period and the previous queues from 1900 down. Twenty minutes and it was sorted but it took that long because of a problem. I was away from home and working on a friend's laptop and, when I brought up the basket, the message 'Continue shopping' appeared on the left hand side but no 'Proceed to checkout'. After several minutes frustration when I feared I would lose my tickets, I ran the cursor over the area I expected the message to be. What happened then was that a blank dotted rectangular box appeared and by clicking on this I moved to the checkout. Many years ago I had the same problem on one occasion. Is there an explanation? Other than this, thank you and well done. Wonderful not to have to wait two hours in a queue. Only criticism is that I spent five minutes trying to book two tickets for Robert Le Diable in the amphitheatre but each time I found they had already been taken . Eventually I got tickets but further back than I wanted. Perhaps next time I should try for tickets further back straightaway. The departure of the “WAITING ROOM” is a big plus and especially for those wanting to book for one performance only. The downside is that for those who book for several performances it is too slow to navigate on from the “continue shopping” to the next desired performance. With everyone being able to dip into the “pot” of seats at the same time speed is crucial in getting the seats one wants. Obviously I first book the performance which I think will sell fastest but then there are too many clicks to get to the next performance I want and the seats in my preferred area have nearly all gone ( and one certainly couldn’t risk viewing another date). For the first day could we please have a simple list (no graphics, no razzmatazz) of the productions which have just become available with their dates to which "continue shopping" returns. At the moment it is too long-winded to get to the required performance. I guess I am atypical in that generally the date of the performance doesn’t matter, but the actual seats do. In a world perfect for me I would choose the production and the seating area (front two rows of the stalls)and then be offered all possible dates! And, yes, my Amex card wasn't recognised either although that it what I normally use. Tried booking today - disaster. Logged on to 20th June buy page for rehearsals at 10.00.02 success. Opened seat selection page and found 5 seats available in balcony - selected seats C55 and C56. - success (these seats were shown as selected). Selected "add to my basket". Screen dimmed out and spinning icon appeared. I assumed after a few minutes,they would appear in the basket and we could purchase them. After 10 minutes or so with nothing happening and the screen frozen, I logged out and back in again. Balcony boxed still showed 5 seat but none appeared on the plan so could not re-select. Logged out and in again and in frustration, tried to select two seats in the amphi. Same thing happened and this time I waited another 15 mins. Eventually I tried again, finding that the two previously selected amphi seats had gone from the plan. Chose two different seats and this time things worked. The spinning icon appeared for a short period and the seats appeared in our basket. Once selected and "add to basket" clicked, are the tickets then temporarily held, awaiting the system to process the selection and could the purchaser be advised of this and perhaps warned that there might be a delay. It is very frustrating not to know if the system has "frozen" and to see ones initial selection disappear into thin air. Otherwise, congratulations on the new site which seems very logical and easy to follow. I'll try to get over my frustration!! Thanks for the message and sorry to hear you experienced difficulties. This sounds like it might be a browser-related issue, in which case we'd recommend ensuring you have the most up to date version installed. Further information on this can be found at http://www.roh.org.uk/help. The new booking system worked well for me - I booked tickets for a ballet performance on 12th June (no hassle)and today obtained a rehearsal ticket very quickly - great not to have the 'waiting room' stress! Judging by previous comments I realise you can't 'please all the people all the time' but I found booking a huge improvement. Thank you! I am in full agreement with the majority of the above comments. The new website works wonderfully well. There is, however, one exception to this. There is not yet a ‘select your own seat’ option in the Clore Studio and ‘best available’ is the only possibility. When booking in the Clore, 'best available' used to bring up the most central seat. I have recently become aware that the most central seat now comes up last Suspecting it was the case I did some ‘dummy’ bookings on the website, first putting one ticket into a basket and then putting a second ticket into the basket. The second ticket was always more central than the first. I got the final proof a couple of days ago when some tickets were released for the July 2nd Insight Evening on Metamorphosis Titian 2012. I watched as the tickets in row B were bought (i.e. doing dummy bookings to see which numbers were available and then immediately releasing them). The numbers of the first tickets to go were in the 20s. When only one ticket was left, it was, as I’d expected, B18 – i.e. the most central. Have the website designers decided that the most central seat is no longer the best or is this a mere glitch in the system? Final question: since so much effort has gone into designing the website for the Main House and the Linbury, why has the poor little Clore Studio been left out? Will we ever have ‘select your own seat’ in the Clore? Today's (20 Sep) Friends' booking was a bit of a disappointment after a smooth first use of the new system in June. I appeared to be logged out at 10:00 as my name had been replaced by 'signin' but after some five minutes trying to sign in again I was told I was already logged in. Too late for most of the tickets I wanted! Sorry you experienced this issue earlier Tom. Our team have looked at the issue to ensure it doesn't happen again in future. Yesterday's online ballet booking was a huge disappointment after my successful experience in June! Logged in at 10am, booked tickets for 4 productions, payment proceeded normally then reply to say a problem with my order and to call Box Office or email. Needless to say impossible to get through on phone so emailed. Reply later to say technical fault, being investigated as a matter of urgency. Further email at 1 30, not seen til 6pm, to say I would have to call Box Office and they would try to reserve me my required tickets i.e. I had lost all tickets booked at 10am! I was at the Opera House for the Insight Evening so spoke to the Friends Box Office to rebook tickets. Lucky with Onegin, however, have had to buy £63 tickets instead of £49 for Firebird Mixed Bill, only have one tickets for the Ashton Mixed Bill instead of the original three, this ticket being a lower price and not as first booked, finally my three tickets for the Apollo Mixed Bill are not altogether. Having contacted the Friends Office this morning, I understand the problem is being investigated. I appreciate having to manage a unique booking system is difficult, however, surely by now initial teething problems should have been sorted! I think a goodwill gesture would now be appropriate from the Opera House to those loyal Friends who have experienced similar problems; I'm sure I was not alone in this. Finally I would like to add that the Box Office staff were extremely helpful, on what must have been a difficult day for them too. We're really sorry you experienced technical difficulties booking yesterday. Thanks for your feedback. Please be assured we are working hard to ensure that the issues experienced don't occur again in future.